Brecon Estate is located in the beautiful, rolling westside hills of Paso Robles where Welsh Winemaker Damian Grindley produces his award-winning collection of wines. A master winemaker with over 20 years experience, Damian has crafted some of the most highly awarded wines across the United States, Australia, and Europe. The many microclimates of the Central Coast region allow for Brecon’s wide range of varietals and each wine is a true representation of the soil and climate of its vineyard site. Brecon Estate produces these varietals with fruit grown in the larger Central Coast appellation as well as the appellations of Paso Robles and Monterey. Production at Brecon Estate is sold exclusively on site thru their tasting room. Each wine is fermented in a small batch after being selected from vineyard parcels on the Central Coast. One of the vineyard sites is home to some of the first plantings of Cabernet Sauvignon and Cabernet Franc vines in the original Adelaida district of Paso Robles. The roots of the Cabernet Sauvignon vineyards are old enough to have reached deep into the ground and as a result, the vines have been dry-farmed for the past four years. It is amongst these vineyards that Brecon’s newly designed, contemporary winery sits along the stunning Vineyard Drive. Outside of the tasting room, guests can relax and picnic beneath stately oak trees, view the gnarly old vines and enjoy the latest releases. Guests can also host events and weddings at Brecon Estate. North or South from Highway 101, take Highway 46 West, after 4.5 miles turn right onto the iconic Vineyard Drive then after 5.6 miles Brecon Estate will be on your right. Great news from the purely domestic wine report, a very prestigious independent review publication for wine industry insiders by Doug Wilder. We are quite humbled (ecstatic) and truly appreciate receiving this accolade and all the wonderful supportive comments that have been lighting up our inter webs since. Thanks Doug! In 2011, Doug Wilder founded purely domestic wine report, as the natural evolution of his wine review blog, creating the only independent subscription magazine exclusively reviewing western US producers. During a career that began in 1990 focused on domestic wine procurement and marketing, Doug built best-in-class selections while the Founding Director at both Dean & Deluca Wine E-Commerce, and Vinfolio, Inc. Domestic Acquisitions, disruptively innovating the retail model, writing first to market reviews on emerging wines. Continuing to innovate, pdwr is the millennium’s first wine opinion publication, designed from inception to look like nothing else, combining concise reviews and original imagery available in online and print. Doug lives in San Francisco, and Sonoma Valley where he is researching his first book on California Wine. 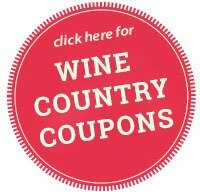 Albariño, Cabernet Franc, Cabernet Sauvignon, Grenache, Grenache Blanc, Malbec, Meritage Blend, Mourvèdre, Late Harvest Zinfandel, Petit Verdot, Petite Sirah, Red Meritage Blend, Red Rhône-Style Blend, Syrah, Tannat, Tempranillo, Viognier, White Blend, White Rhône-Style Blend, Zinfandel.